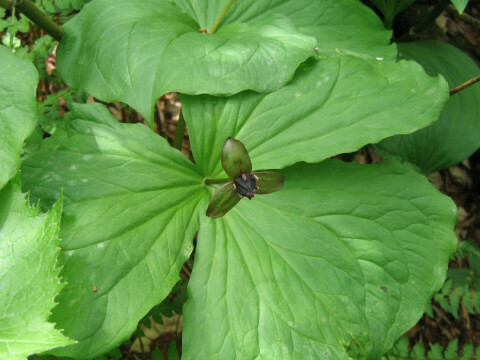 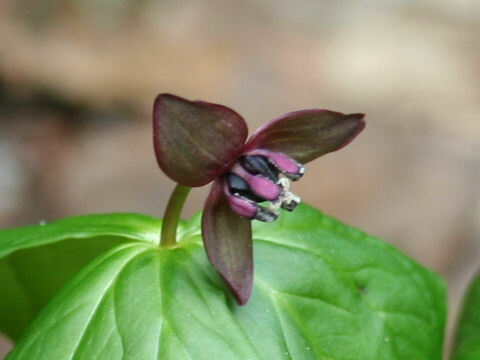 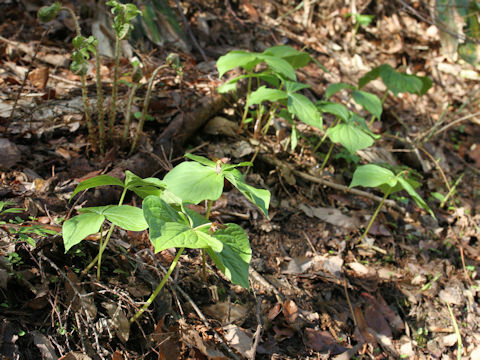 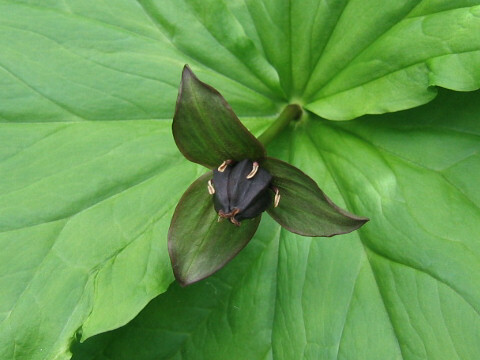 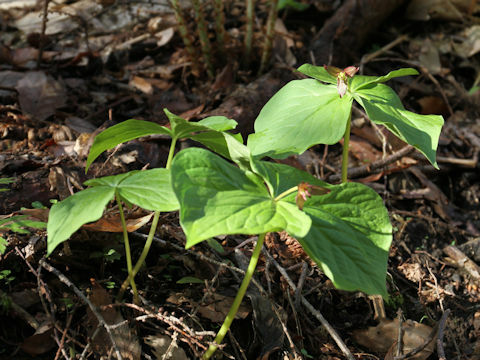 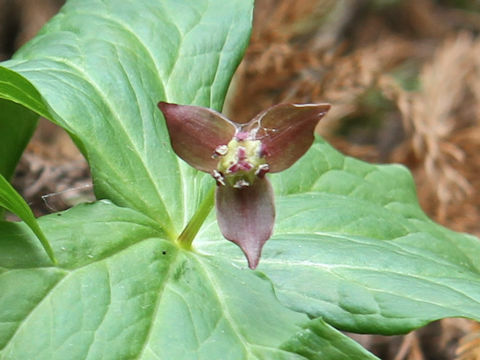 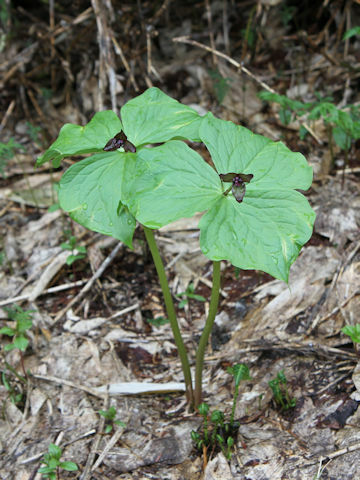 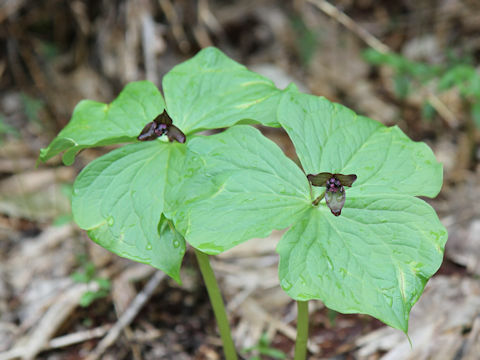 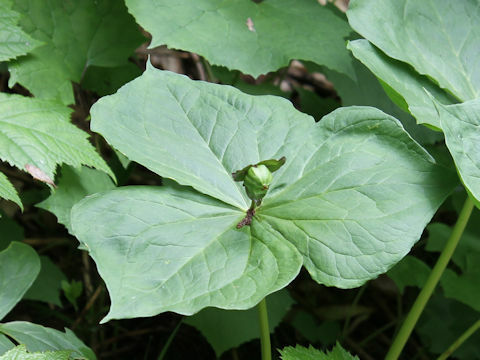 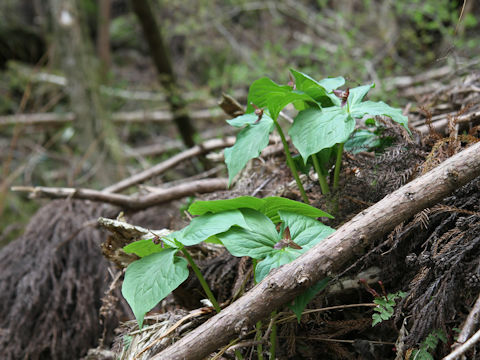 "Enrei-so" (Trillium smallii) belongs to the Liliaceae (the Lily family). 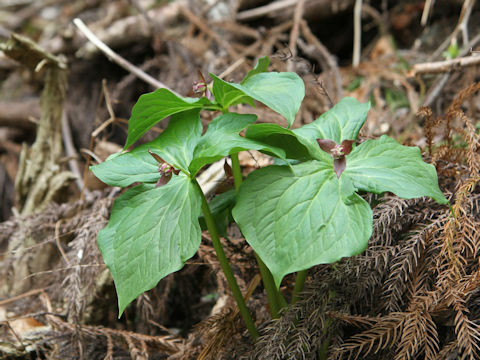 It is a perennial herb that is native throughout Japan, as well as the southern Kuril Islands and Sakhalin. 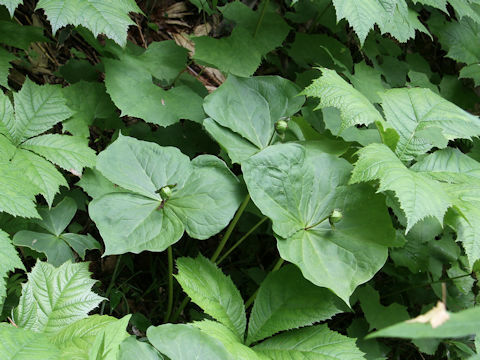 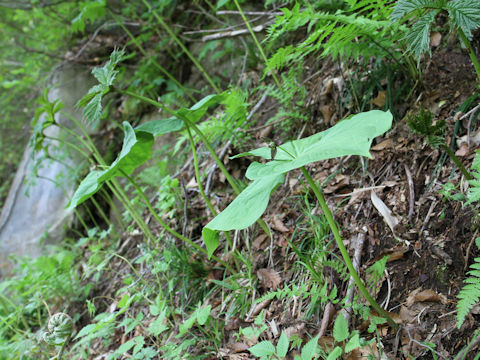 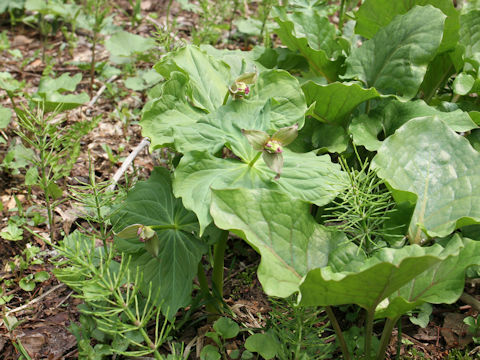 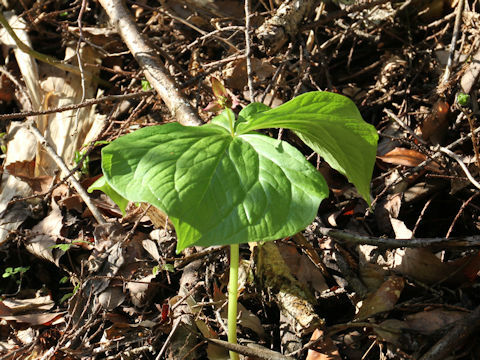 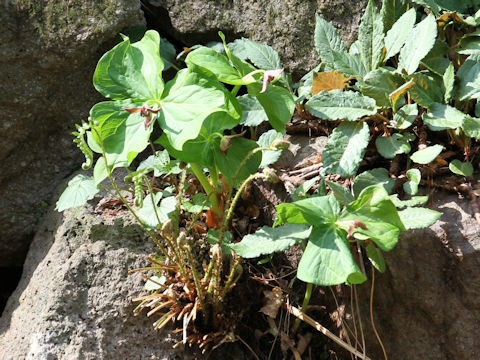 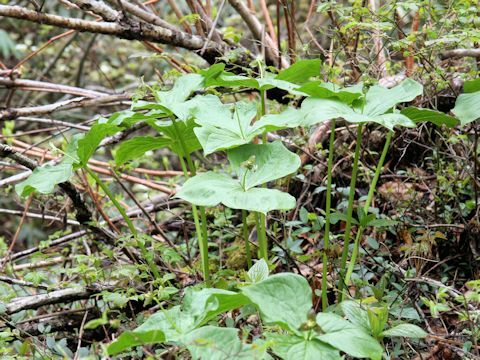 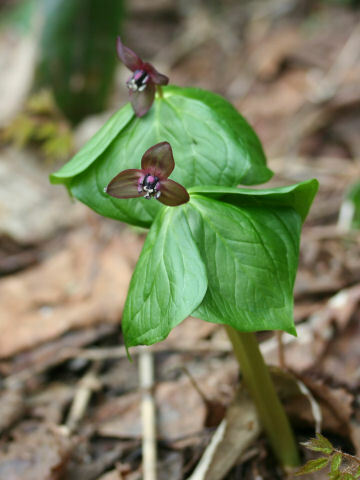 This herb grows in mountain wettish forests and can reach 20-40 cm in height. 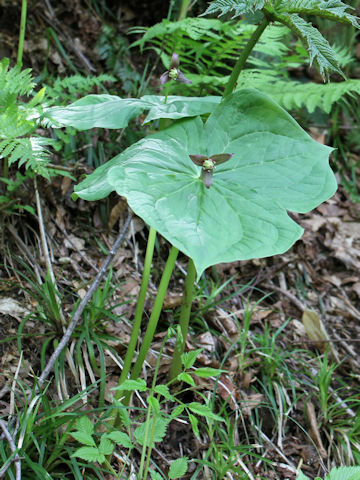 The leaves are ovate-diamond and arranged in three whorled at the tip stems. 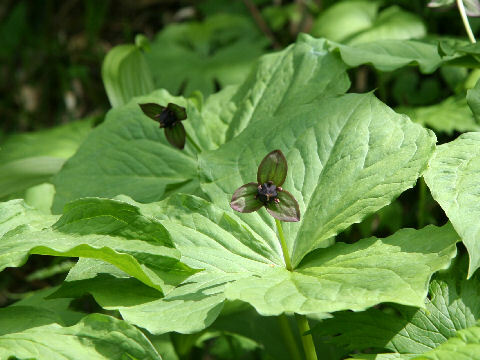 The green or purplish brown flowers bloom from April to May. 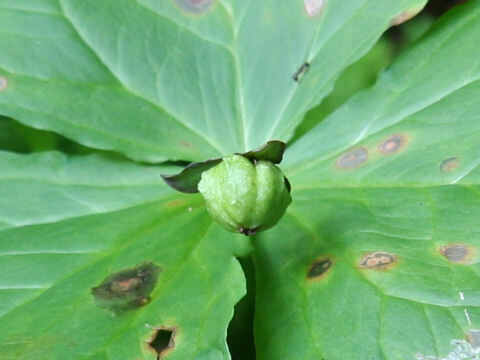 The corolla has only three outer tepals and remain through fruit season.